When I think of Lent I automatically think about various fish dishes being served on Friday’s. Of course, fish dishes are served every day of the week, but Friday was the traditional day to give up meat during Lent. From the yummy fish sandwiches to baked, broiled or deep fried there are tons of ways to make fish the star of the show. I’ve gathered some of my personal favorites along with some great recipes from fellow bloggers to share with you. I’ve even divided them by type of fish to make it easier for you to navigate. During the Lent season, many grocery stores will have amazing deals on fish. Check for high-quality fish and stock up and freeze for later months! 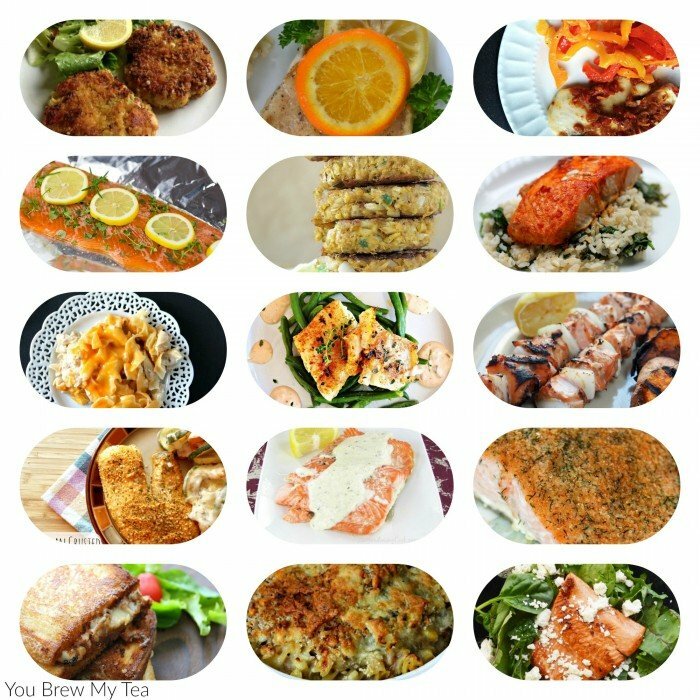 Test out some of all of these delicious fish dishes Lent or just for a fun and different weeknight meal any time of year. These fish dishes are some great ones to make for your family this Lent. Play with new flavor combinations, different side dishes and even try a new fish this year. There are great healthy and flavorful choices as well as classics on this list to give you some great ideas for Lent recipes everyone will enjoy. If you aren’t familiar with Lent or Lent traditions check out some great books that explain why his time is so important to Christians, but specifically Catholics. Check out some of our other popular recipe roundups! Great group of fish recipes here! Thanks for linking up to Merry Monday! Sharing on FB! Have a great week! What a great list of recipes! 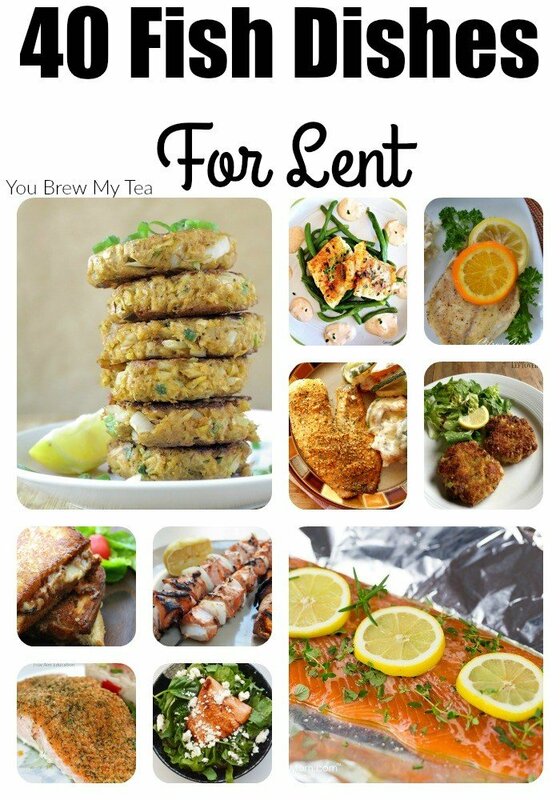 This will come in handy for so many people looking for dinner ideas for Lent. Sharing with my followers. Thank you for linking up with Inspire Me Monday! Have a blessed weekend! !